Methods to reduce the amount of greenhouse gases (GHG) such as CO2 in the atmosphere is an active research area. 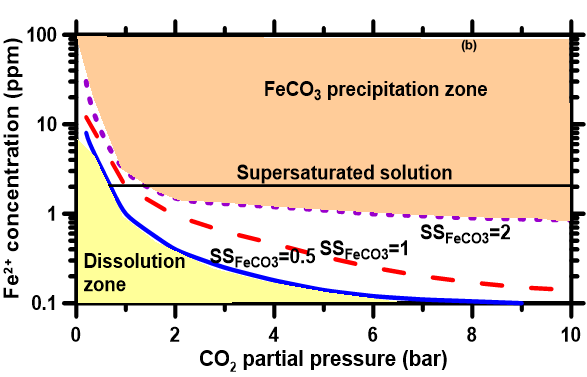 Mineral route of carbonation, where mined mineral rocks are used as the feedstock through which CO2 is passed is one of the promising routes to reduce the concentration of CO2 in the atmosphere. We have forwarded, for the first time, the possibility of carbonating waste metallic iron powder to develop sustainable binder systems for concrete. 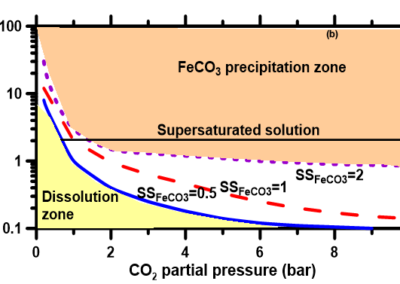 The fundamental premise of this work is that metallic iron will react with aqueous CO2 under controlled conditions to form complex iron carbonates which have binding capabilities. 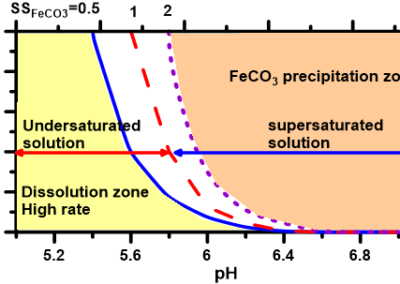 We have studied the effect of source materials, additional components including the source of silica and alumina, nucleation agents, iron dissolution agents and curing conditions on the microstructure and mechanical properties of this unique binder system. 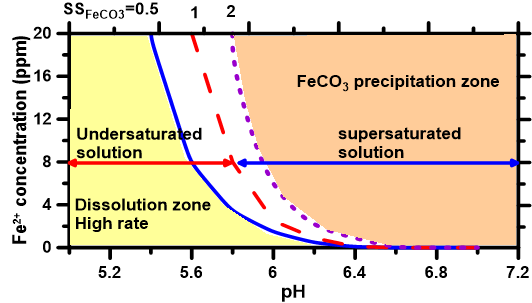 The reaction kinetics and product formation have been determined and modeled. 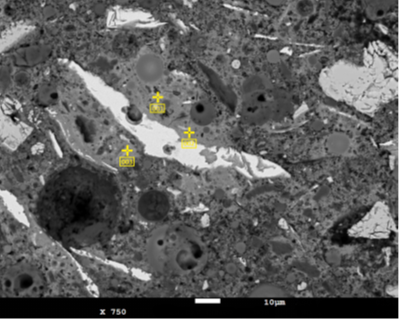 The material pore structure is investigated primarily through mercury intrusion porosimetry whereas electron microscopy is used for microstructural characterization. The pore structure features are used in predictive models for gas and moisture transport (water vapor diffusivity and moisture permeability) through the porous medium which dictates its long-term durability when used in structural applications. Comparisons of the pore structure with those of a Portland cement paste are also provided. 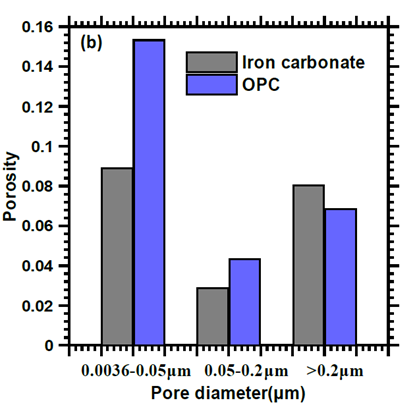 The morphology of the reaction products in the iron-based binder, its elemental composition and the distribution of constituent elements in the microstructure are also reported. 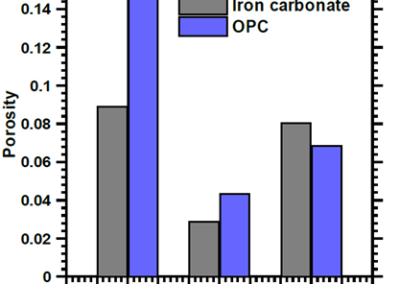 The novel binder system provides yet-unheard-of synergistic benefits through: (i) consumption and trapping of CO2 from a GHG emitting industrial operation and subsequent carbonate formation, and (ii) providing a means to reduce the overall Ordinary Portland Cement (OPC) production (which is a significant emitter of GHG) through the use of carbonated metallic iron powder as the binder material for concrete.